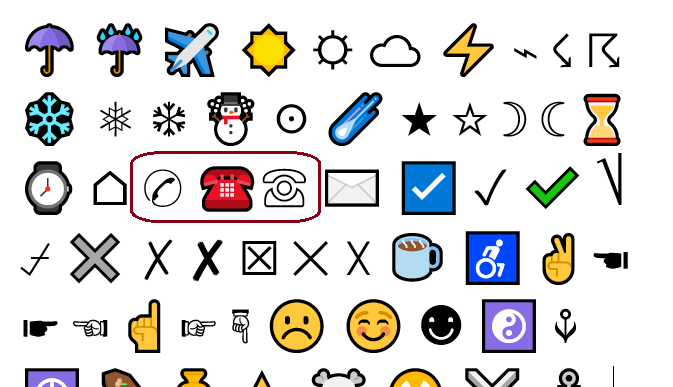 Did you know that Google can search for symbols – including these: ☎, ☏, and ✆? We can use this capability to look for publicly posted phone numbers. Use an area code to find phone numbers in a target location. Nether LinkedIn nor Facebook can search by these symbols; Twitter can, though. 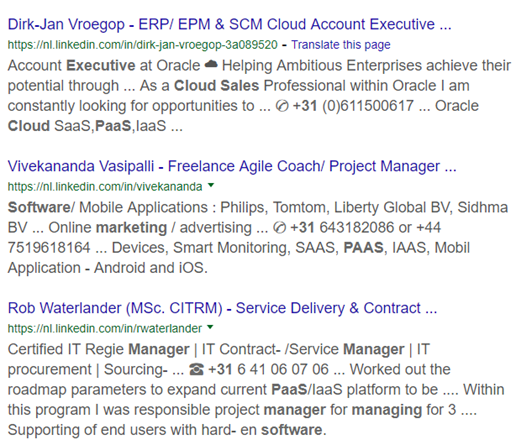 Searching by ☎, ☏, and ✆ when X-Raying LinkedIn is, therefore, another advantage of LinkedIn X-Ray search vs. its internal search. P.S. Like this tip? Look, also, into searching by ✉. I am sure I am asking a silly question but here goes . . . where do you find those icons – I did copy them but where would I find them again? There are lots of sources where you can find these icons. Google for something like phone symbol or phone emoji. MS Word also has a function to insert various symbols.